Superstars of Magic is back with its fourth instalments of spectacular Magicians from all over the world performing in one location. This year we have 7 outstanding World Class Illusionist standing by to bedazzle you right in front of your very eyes. Be prepared to be astounded and amazed at the talents of their magical hands in one breathtaking spectacle. The show is set to reignite the passion for magic between the general public and the magicians and help strengthen the bonds with the illusionist and their audience. 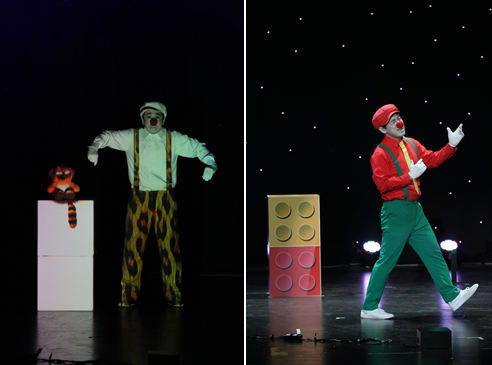 The show will showcase new acts and new renowned magicians, and promises to be an exciting, action packed filled performance with spectacular and astonishing results. - Resorts World Genting. There are 7 famous magicians that will amaze you to fall in love with their best magic tricks in the Superstar of Magic 4, Resorts World Genting! 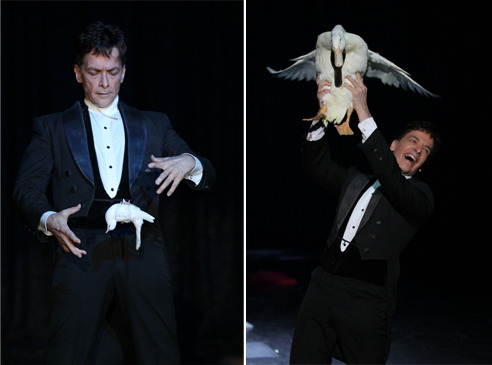 You MUST catch this beautiful magic show in The Resorts World Genting before 25 October 2015. For the first time, my mom and I get to sit in the front row, and witness a very magical show performed by the world's renowned magicians from oversea, like USA, Canada, USA, South Korea, Taiwan, and Germany. They are energetic magicians who I liked, especially Jay, who is a great magician, also shared his story with us about his family's life and career during his journey, and he is a very entertaining MC as well. See this youtube from RWGenting. 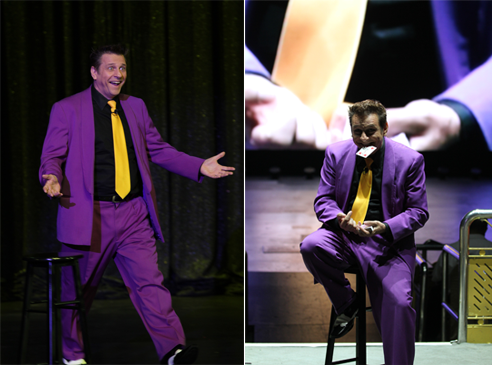 I heard that Jay Mattioli is the finalist magician who won the heart of America's Got Talent from United States! When "Superstars of Magic 4" performance started, Jay is a great MC entertainer that is really good in entertaining and interacting with the crowd. I was shocked to see how his motorbike appeared at the stage in a blink of an eye! Super fast! He also has the ability to control a bulb in the air too! He also bring his cute son out when the performance finished! He might become a famous magician like his daddy in the future! Joseph Gabriel who is an expert magician from the United States. He known as "Godfather of Dove Magic" - famous magician who can summon lots of doves and gooses during his amazing performance. I still wonder about how did a large goose can come out from his clothes? 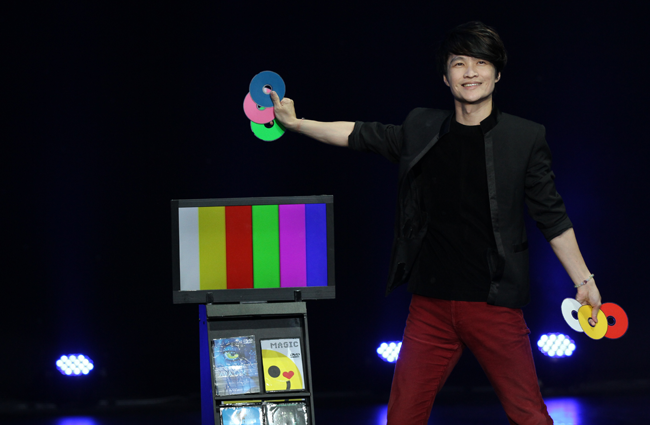 Jeff Lee, a magician from Taiwan and is an award-winning celebrity TV magician who can perform the modern music TV with his magic trick. Surprisingly, he can remove and add some DVDs from the TV screen and can change his DVDs into any colours! Ted Kim, a South Korean magician who uses the latest lighting technology to help perform his magic drawing on the boxes. I felt that his magic element are suitable for youth and children because he looks like a cute Super Mario brother who act really funny during his illusion story! One Gun is a young handsome magician from South Korea, he looks really cool with his K-Pop style, and he is the best Korean Magician of the Year. 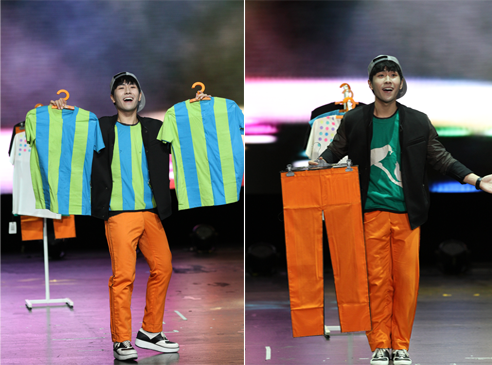 He has a cool appearance and can change his clothes just by casting magic on the T-shirts. It will change into the different colour and patterns in just a blink of an eye! Shawn Farquhar is an experienced magician that is \ good at interacting with kids and adults by playing his magic cards during the performance. He is the International Brotherhood of Magician (IBM) president that has appeared on the Ellen Show and managed to fool Penn and Teller on their hit TV series just by using his mighty stack of cards! I didn't get chance to see the last show, Alana Moelmanna who is a magician lady from Germany. Even without her, the rest of the casts still managed to create a really impressive performance that combines of, intriguing magic illustration, and mind blowing sleight-of-hand magic! It has a great comedy element as we had a good laugh throughout the show! It reminds me about my childhood tim when I was really interested to learn the magic tricks, and show off in front of my ex-classmates in my school to make them laugh! The "Superstar of Magic 4" available until the end of October. For more information on the ticketing and showtimes, you can check their promotion of Superstar Magic 4's packages on the RWG website and there are special room rates if you wish to stay a night at Resorts World Genting. 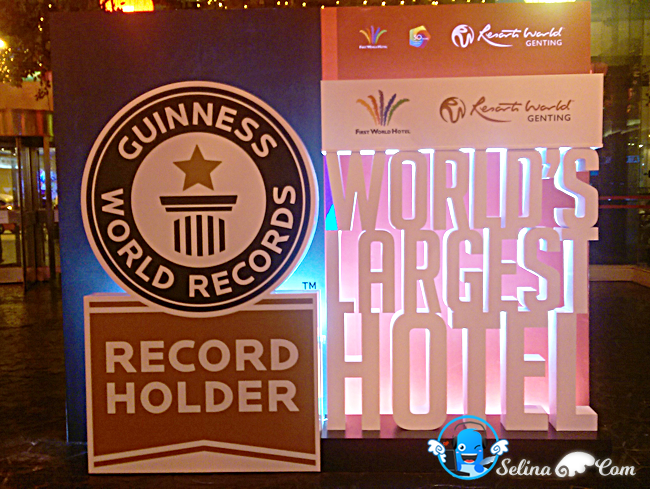 First World Hotel is a 3 stars hotel at the Genting Highlands, Malaysia earned the title of the world's largest hotel with 7351 rooms by the Guinness World Records. 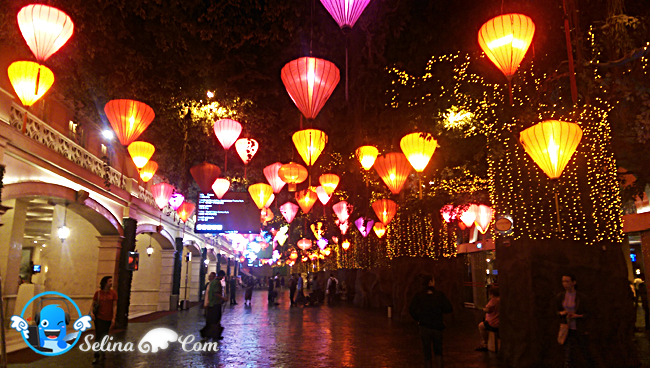 This is old lobby with colorful lanterns at the Main Entrance. 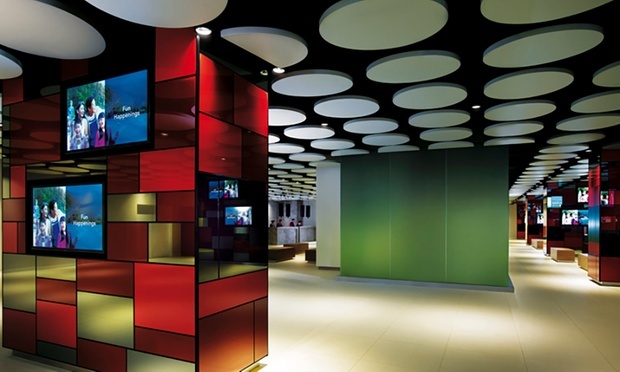 My mom and I explored new Tower 2A Aannex which is very modern-looking & creative lobby. I just know that it can connect to the tower 2! We walked into our new XYZ room, and found something are different, so comfortable. Don't worry, you sure will feel cold when you sleep in the night. In the bathroom, there are 3 standalone cubicles for toilet, shower and wash basin together. There are well divided with frosted lime green glass walls, so easy to use. We never feel small space, but we feel okay to use it. There is an international socket and USB access point on the wall. My mom forget to bring the battery charger. We are lucky to found the USB access point so she happy to charge her smartphone on her first time! Good news! 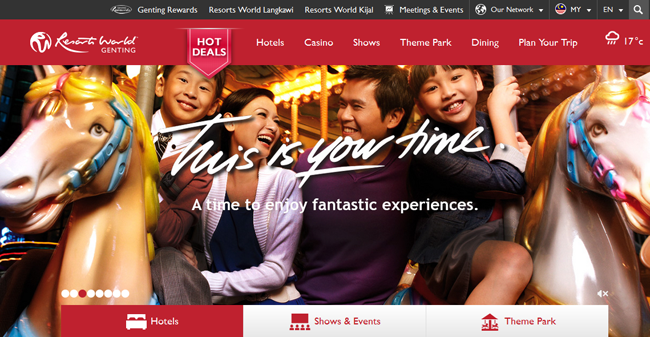 [PROMO] 2D1N stay at First World Hotel, Genting from only RM50 nett! I love their magic show too. Really unbelievable. Wonder how they do it. Thumbs up. Genting is just near to my hometown but i didnt go there for years. It seems like changed a lot. Should pay a visit some day. The show seems nice to see. I heard so much about this place. I think its about time i plan a trip there soon! I bet u had a wonderful time there! I can see it in the images you've captured! Looks fun & exciting! Thx for sharing. It is really interesting. All are from different part of the world. It is really awesome. The hotel room is very nice and clean. When their theme park open again will surely stay there.. It's a great event where they gather all talents from different countries into one place to perform! !